Correct belt installation tension is essential for optimum performance and reliability of multi-ribbed, V-belt and synchronous belt drives. The STM 308C ensures simple and extremely accurate tension measurement by analysing sound waves from the belt through the sensor. 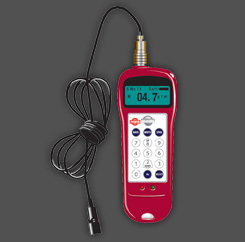 It processes the input signals and displays the accurate tension measurement digitally. Gates’tension meter is user-friendly: it has only one button, is compact and computerised. 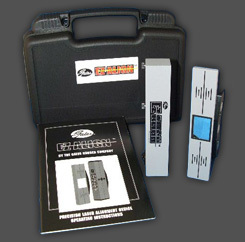 Gates’ sonic tension meter measures belt tension accurately every time. It is supplied with a handy instruction manual. H 135 mm x D 30 mm x W 50 mm. 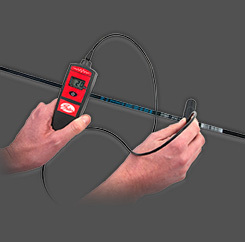 Measurement range: 10 Hz - 350 Hz. Measured accuracy: ± 1Hz from 0 to 100 Hz, 1% > 100 Hz. 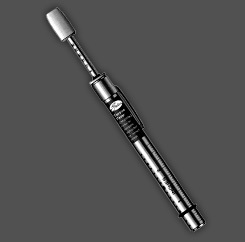 Double microphone automatically eliminates background noise. To save energy, the device shuts off automatically after two minutes of inactivity. 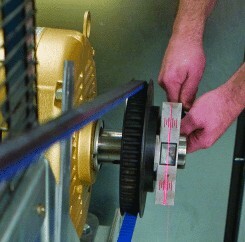 Suitable for multi-ribbed belts, V-belts and synchronous belts.